You’ve heard of Batman V Superman. 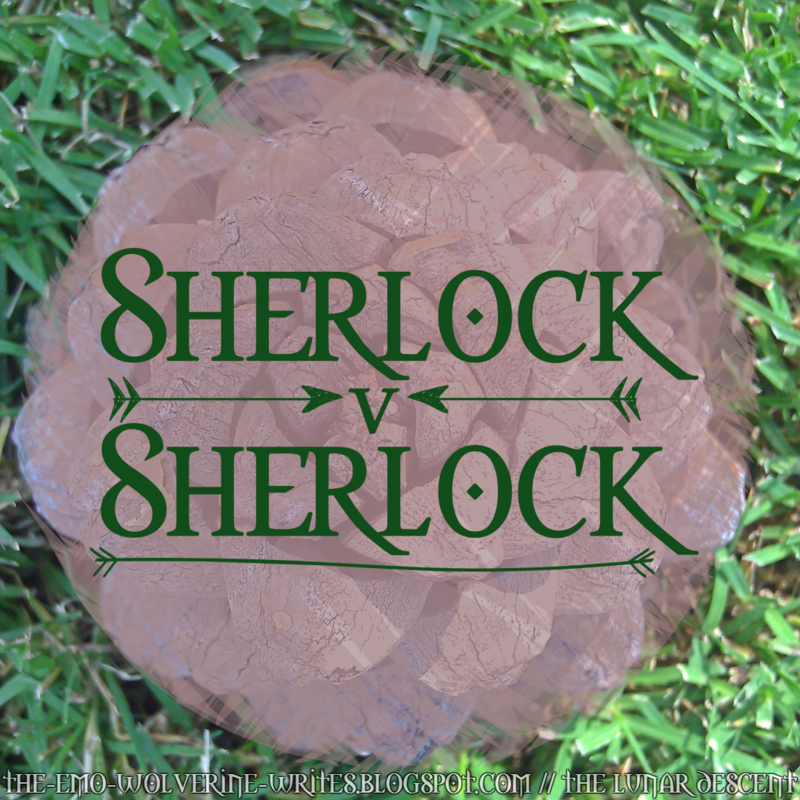 Now get ready for Sherlock V Sherlock. The fourth season of Sherlock just ended and it was surprisingly satisfying, despite the initial mess the first episode of the series was. If you haven’t seen the series yet, don’t read this post, because I’ll probably be referring to a lot of spoilers and if I were you, I wouldn’t want to know about them until I was done watching the series for myself. BBC’s Sherlock has been such a hype since the start of 2017! After all, the Sherlock fandom has done it’s waiting for quite a long time for this, especially since the star of the show has been stolen away and casted in other works, like Marvel’s Doctor Strange. The probability of having more seasons on this epic retelling of Sir Arthur Conan Doyle’s books is getting slimmer and slimmer by the day. Believe it or not, there have been multiple retellings of this classic. In my eagerness to watch the next episode of BBC’s Sherlock, I sat down and decided to watch a different Sherlock. Admittedly, it was really weird to see someone else play Sherlock. Not only am I so used to seeing BC as Sherlock, but I also had a hard time separating RDJ from Iron Man/Tony Stark. But as the movie went on, it wasn’t bad at all! In fact, I really liked it! I loved how the whole old London was shown, with poofy dresses and horse carriages. Of course, the fight scenes were amazing, I really enjoyed how Sherlock Holmes would play out the entire fight in his head before actually executing it and how his body seemed in tune with his mind- there was no lag, no mistakes in doing what he had planned! Meanwhile, our modern day Sherlock Holmes would most probably lose in a fist fight, possibly to enhance the fact that he is purely brain and deduction. As I watched this third episode of the fourth season of BBC’s Sherlock, I was a initially really happy with the episode. There was so much suspense and dark twists and plots that it was certainly a roller coaster. A few days passed and I finally sat down and thought about it. And other people did too! Here’s an interesting post you should definitely check out (spoiler warning, of course). The more I thought about it, the more I realized how different Sherlock Holmes the movie is from BBC’s Sherlock’s “The Final Problem”. In essence, while Sherlock Holmes chased after Blackwood and everything is shown to be supernatural, it turns out that everything was really a clever, scientific hoax. It’s not like that in the Final Problem at all. On the contrary, Sherlock seems to be accepting the impossible (hey, what happened to “keep your phone on flight mode if you’re traveling on an airplane”. how and why did Sherlock truly believe that an entire plane, save for a little girl, could be asleep?) and is trying to play within the game, instead of the radical out of the box thinking we all love Sherlock for. It sounds ridiculous, doesn’t it. It gets worse as you keep going. Go ahead and do it if you want to. Tell the story to a stranger and then tell them it was a Sherlock episode. While I was reflecting on the episode, I also came up with a theory of mine. Remember in the first episode? It was all themed with the story of the merchant from Baghdad who saw death and he ran and ran and ran to Samarra where he met death again, who claimed him with the words “I was surprised to see you in Baghdad, because I had an appointment with you in Samarra”. Essentially, the story was about how things in destiny cannot be changed. Mycroft had commented on how Sherlock didn’t like the story and wrote his own version where the merchant ran away and became a pirate and lived many years. In the same episode, the story is played out. This time, Mary is the merchant who has death chasing after her (tell her she’s a dead woman). Sherlock tries to keep Mary safe, and Mary certainly runs as well, runs and runs and runs to Tehran and what not. She comes back to London and that’s where she gets shot and killed. She had come close to death so many times, but it was there to claim her in the city where she had first been given her warning. This is the story Sherlock would have liked to rewritten, but couldn’t. Fast forward to Eurus, holding a gun to Watson’s head. Imagine this. Eurus killed Watson. The third episode is entirely Sherlock’s point of view, where he decides that Watson didn’t die, that he and Watson and Mycroft run far far away and become pirates, hijacking boats to get where they want to go. Sherlock Holmes is the merchant from Baghdad who will run away to make sure John Watson doesn’t die, not after Mary entrusted him to Sherlock. But of course, that’s just my ramblings. The point is, even though this last episode was wrapped up really well (I loved the ending sequence with Mary’s narration), it just doesn’t feel like the end at all. It was so incomplete, so bizarre, it kind of feels like a joke at the end.